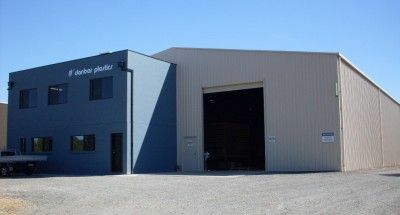 Danbar Plastics is Regional Victoria`s Premier Plastic Custom Moulders. Danbar Plastics is a custom plastic injection moulder and plastic extruder. We are also a manufacturer of our own plastic moulded products for the Horticulture, Nursery products, Viticulture, Furniture, Sporting, Construction, Automotive, Food and Brush Fibre Industries. Danbar Plastics Custom Injection Moulders provide their plastic injection products and services to companies throughout Australia and overseas. We are also custom injection moulders and extruders and manufacture for all your project requirements with an aim to add value to your value stream. Some of these products include, Plastic plant pots, Gardening pots, Native tree tubes and Plastic crates that are sold online as packs or wholesale to nurseries throughout Australia. Our Promise - From “Conception to Completion” of your product, we will always operate with integrity and pursue the best interests of our customers. We service our customers throughout Australia and overseas, we are known throughout Victoria and have become respected in our local business community by proudly serving our customers with integrity and true customer service in plastic injection moulding and fibre extrusion. Couple that with flexibility, quality and competitive prices, and it’s no surprise that we have a very loyal customer base. What sets us apart from other injection moulders and companies? Established and operated for over 26 years in regional Victoria and easily accessible to Melbourne. Accessibility – Approachable management team with businesses or individuals. Quick mould or Toolmaking prototype modifications. Flexibility – Short lead toolmaking lead times, custom pricing, low setup costs, short run custom plastic injection moulding capabilities. We help "Create your Solutions" from idea to delivery to the customer we can manage the design of the product, manufacture it , pack it, store it, warehouse it then arrange and organise the distribution and delivery of your plastic products. Cutting edge solution to environmentally friendly products, using specialty polymers and additives. Fast turn around - tooling and production.